Tomorrow, Saturday, May 10, is the first Saturday of Free Comic Book Month. Bring your FCBMonth Passport! That will get you in the door for more comic book freebies. 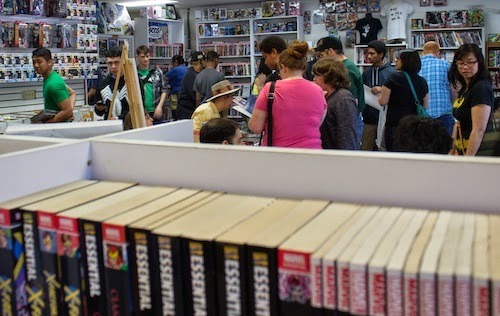 Each Saturday, the shop opens at 11 a.m. and there will be two lines -- one for Savings Club Members who have a comics saver at Empire's and a another line for non-members. Free items are available while supplies last. Make sure to get your FCBMonth Passport stamped so that you can access even more freebies on Saturday, May 17. And keep in mind, that freebies will get better and better each Saturday!